Mystery lovers everywhere are addicted to Donna Leon's ever-honorable Commissario Guido Brunetti and her portrayal of Venice's beautiful but sinister byways and canals. 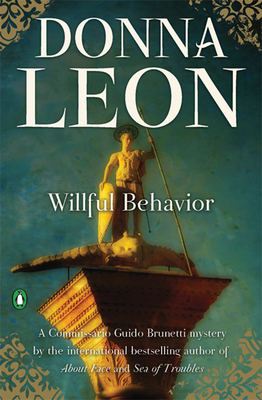 In Willful Behavior, Brunetti is approached for a favor by one of his wife's students. Intelligent and serious, Claudia Leonardo asks for his help in obtaining a pardon for a crime once committed by her now-dead grandfather. Brunetti thinks little of it--until Claudia is found dead. Soon, another corpse and an extraordinary art collection lead Brunetti to long-buried secrets of Nazi collaboration and the exploitation of Italian Jews--secrets few in Italy want revealed. Donna Leon is the author of the highly acclaimed, internationally bestselling Commissario Guido Brunetti mystery series. The winner of the CWA Macallan Silver Dagger for Fiction, among other awards, she lived in Venice for many years and now divides her time between Venice and Switzerland.